This high-quality Trigger Spray Top can be used for all of your cleaning needs. The rotational nozzle can be twisted to fix a mist spray pattern to your actions. 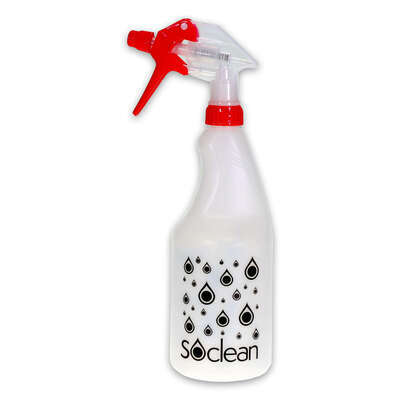 It has an ideal design for use with detergents, bathroom cleaning, disinfecting and kitchen cleaning amongst many more tasks. These tops are supplied in a range of different colours to prevent cross-contamination during your janitorial efforts. 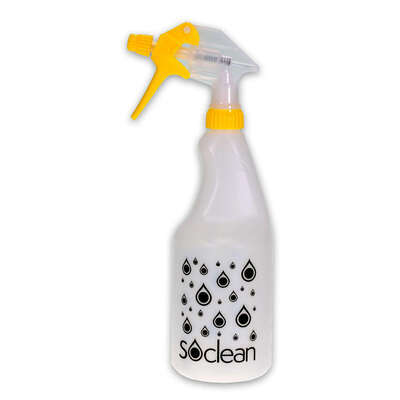 No matter your business type or cleaning needs, this versatile spray top will fit into your regime with ease. Please note - this is the spray top only. This top is compatible with the trigger spray bottle only, also available only today at exceptional wholesale prices.